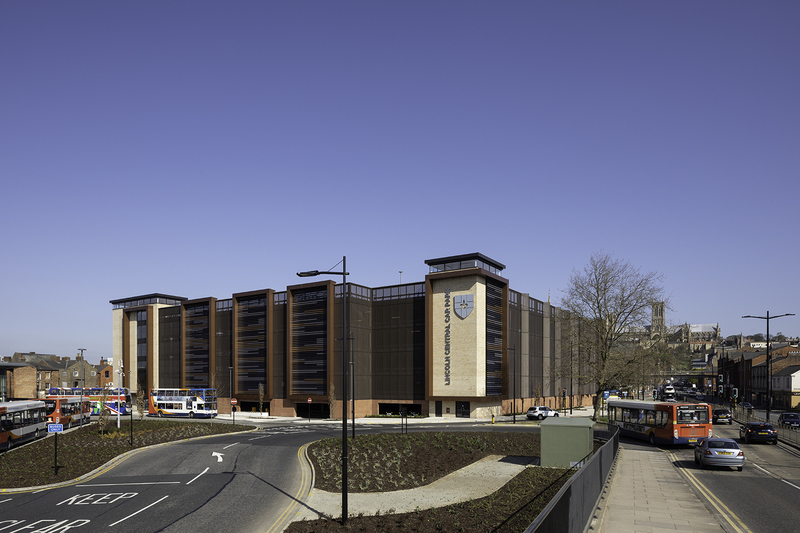 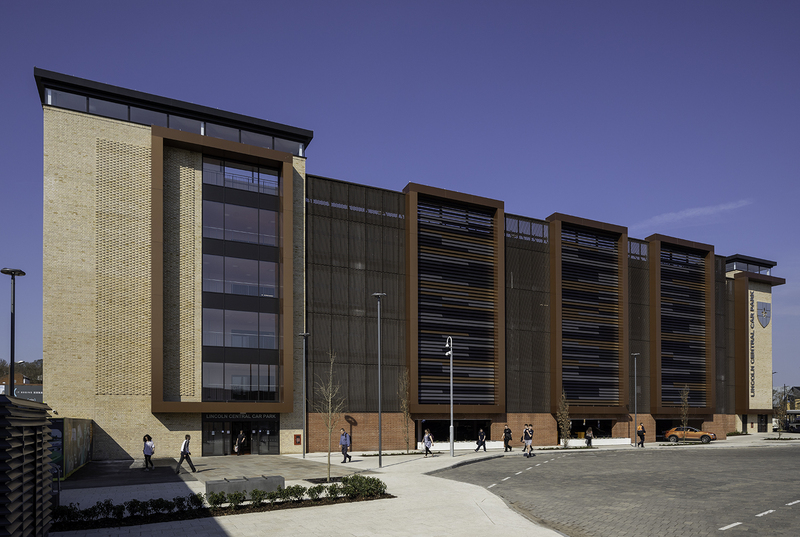 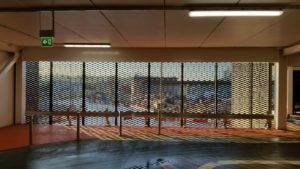 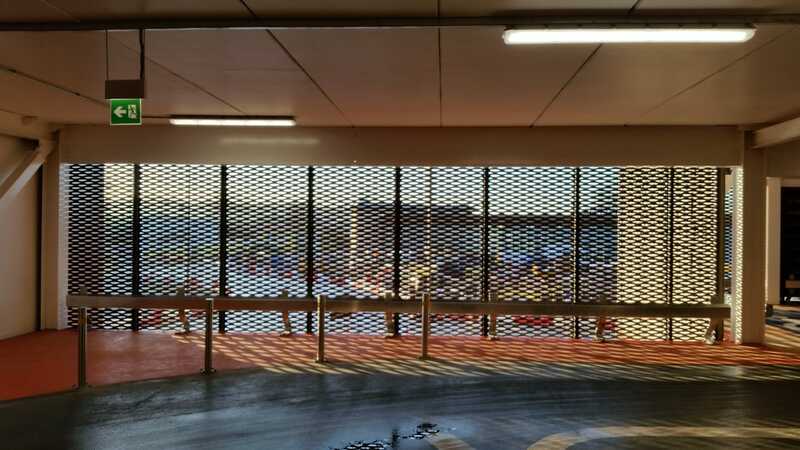 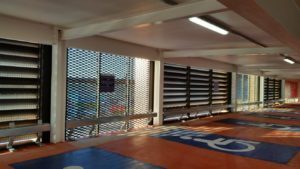 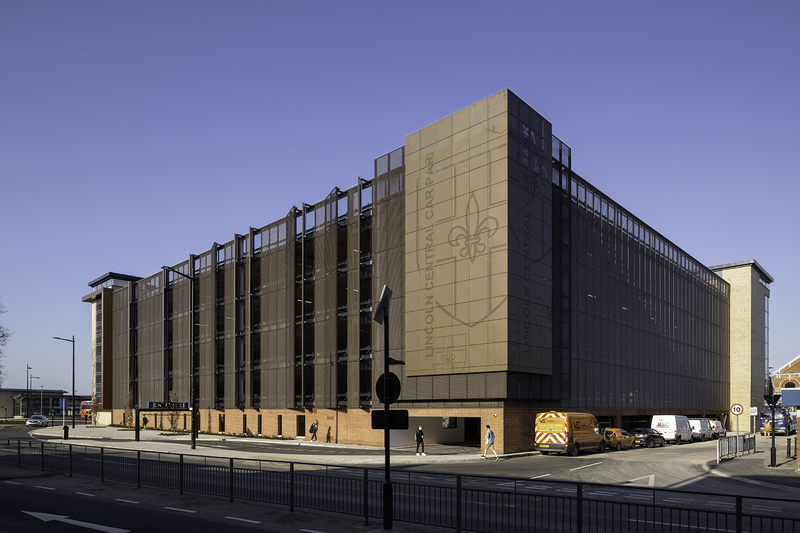 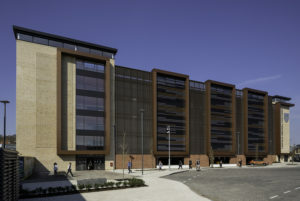 The final array of WPL products on every elevation of the MSCP, part of the new £30M Lincoln Transport HUB, are all brought together to create an absolutely stunning façade which looks modern, streamlined and built to last using environmentally friendly materials. 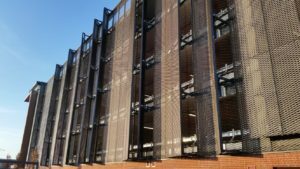 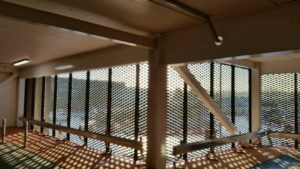 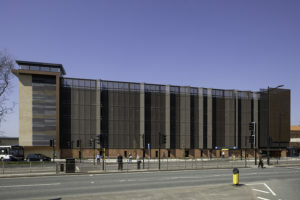 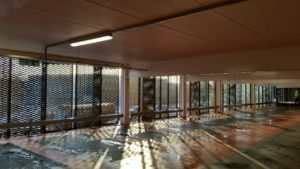 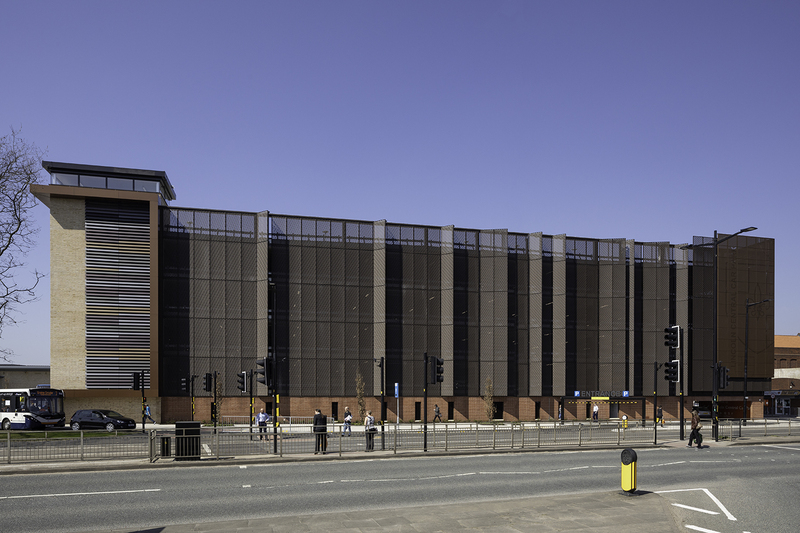 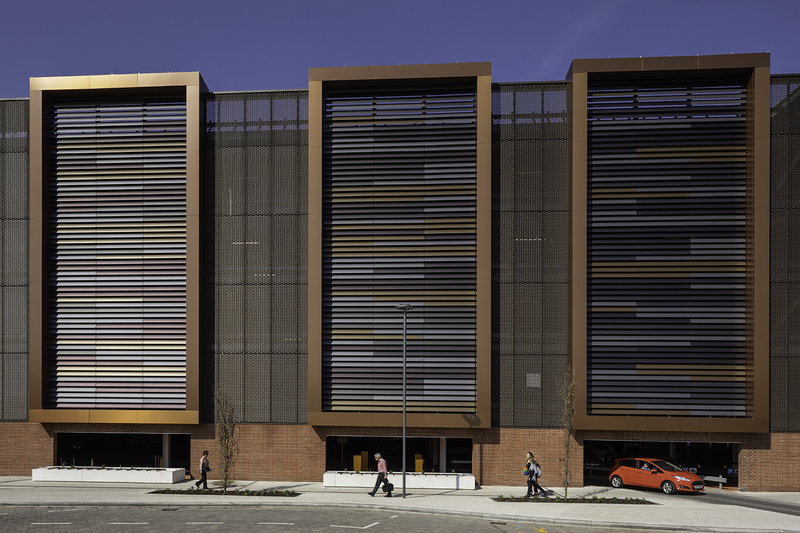 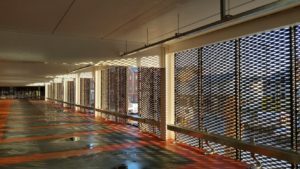 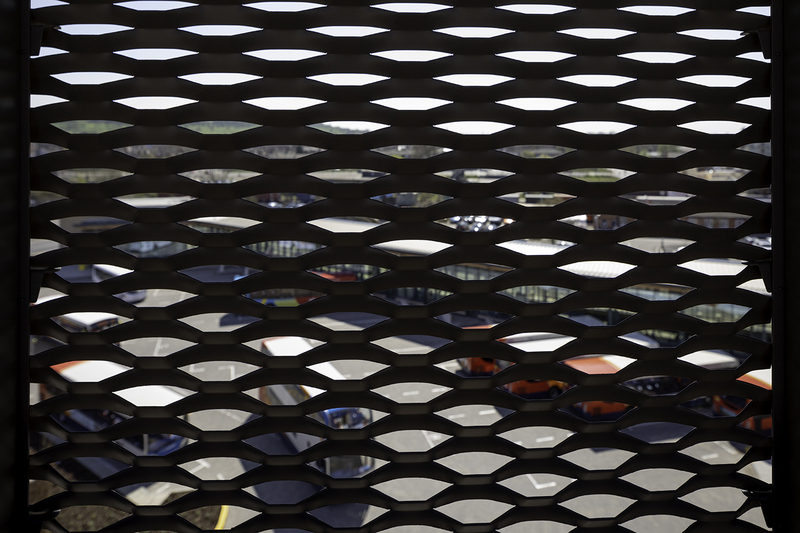 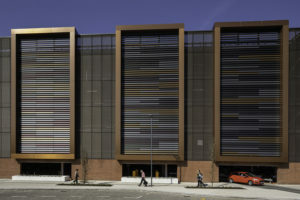 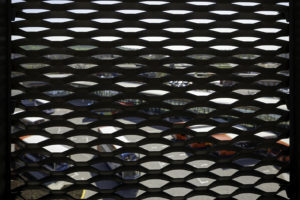 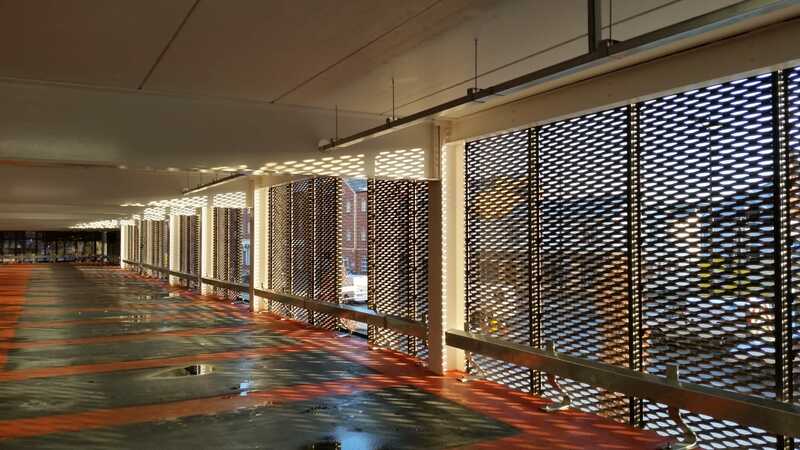 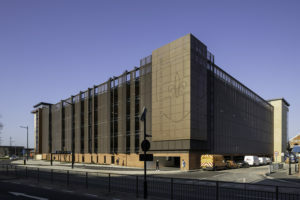 Decorative Mesh, Alucabond Cladding, uniquely coloured Solar Shading Aerofoil profiles & Aluminium Perforated Rainscreen Panels depicting the Lincoln HUB branding. 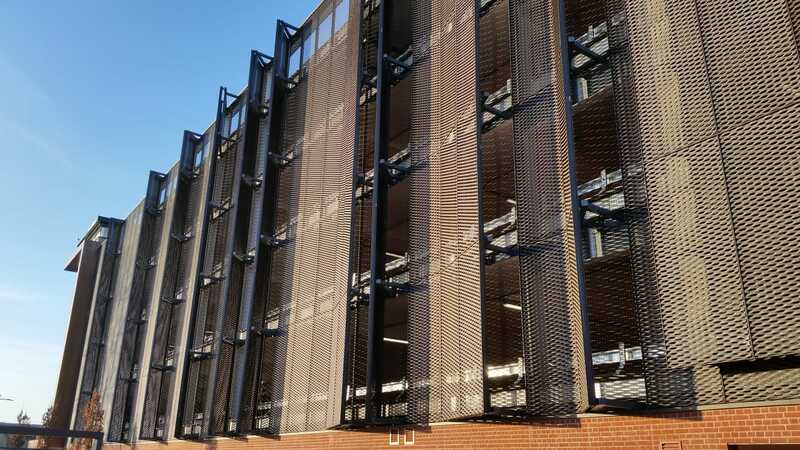 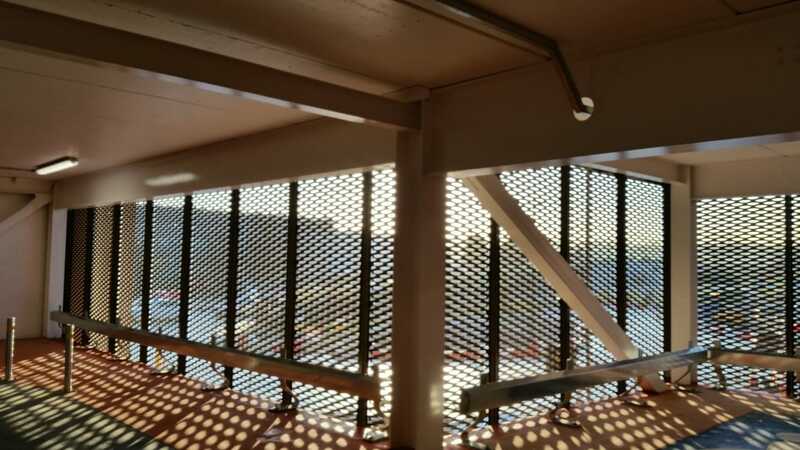 These products are all supported by WPL’s Alu-Structure range of support mullions and transoms to achieve a versatile arrangement of various spans & neat connection detail between components and the building main frame.